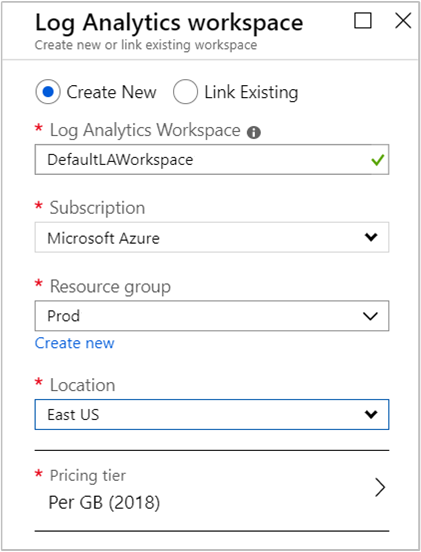 Azure Log Analytics can collect data directly from your Azure virtual machines and other resources in your environment into a single repository for detailed analysis and correlation. 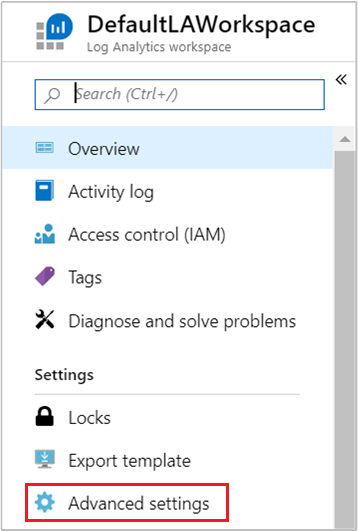 This quickstart shows you how to configure and collect data from your Azure Linux or Windows VMs with a few easy steps. This quickstart assumes you have an existing Azure virtual machine. If not you can create a Windows VM or create a Linux VM following our VM quickstarts. For Windows and Linux virtual machines already deployed in Azure, you install the Log Analytics agent with the Log Analytics VM Extension. Using the extension simplifies the installation process and automatically configures the agent to send data to the Log Analytics workspace that you specify. The agent is also upgraded automatically, ensuring that you have the latest features and fixes. Before proceeding, verify the VM is running otherwise the process will fail to complete successfully. On the left-hand menu, under Workspace Data Sources, click Virtual machines. In the list of Virtual machines, select a virtual machine you want to install the agent on. Notice that the Log Analytics connection status for the VM indicates that it is Not connected. In the details for your virtual machine, select Connect. The agent is automatically installed and configured for your Log Analytics workspace. This process takes a few minutes, during which time the Status is Connecting. After you install and connect the agent, the Log Analytics connection status will be updated with This workspace. Log Analytics can collect events from the Windows event logs or Linux Syslog and performance counters that you specify for longer term analysis and reporting, and take action when a particular condition is detected. Follow these steps to configure collection of events from the Windows system log and Linux Syslog, and several common performance counters to start with. Select Data, and then select Windows Event Logs. You add an event log by typing in the name of the log. Type System and then click the plus sign +. In the table, check the severities Error and Warning. 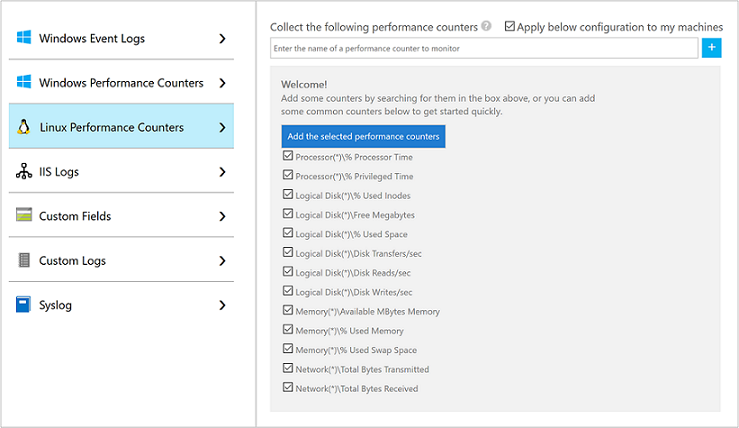 Select Windows Performance Data to enable collection of performance counters on a Windows computer. 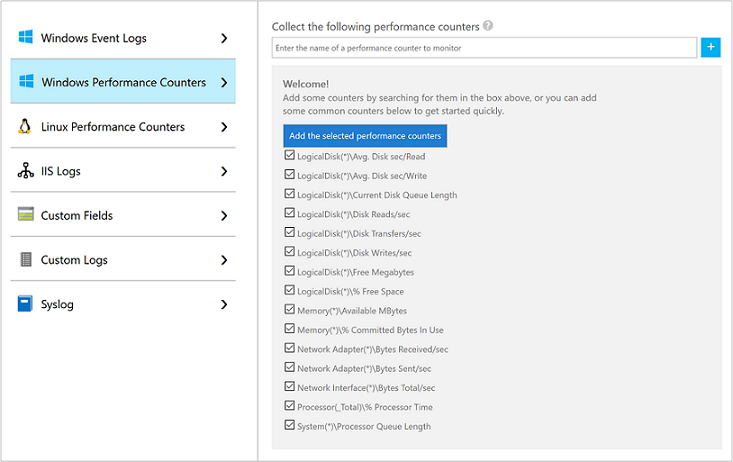 When you first configure Windows Performance counters for a new Log Analytics workspace, you are given the option to quickly create several common counters. They are listed with a checkbox next to each. Now that you have enabled data collection, lets run a simple log search example to see some data from the target VMs. For example, the query in the following image returned 735 performance records. Your results will be significantly less. 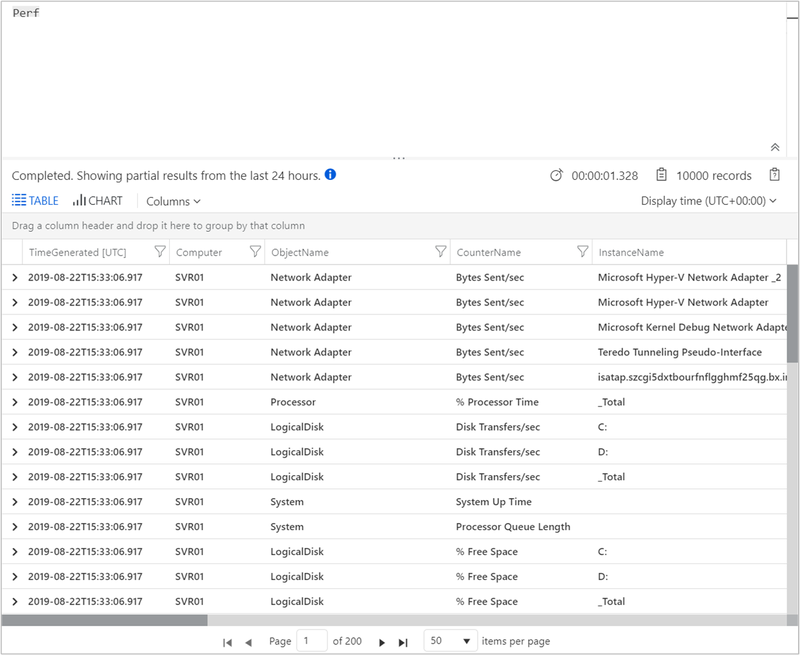 When no longer needed, delete the Log Analytics workspace. To do so, select the Log Analytics workspace you created earlier and on the resource page click Delete. Now that you are collecting operational and performance data from your Windows or Linux virtual machines, you can easily begin exploring, analyzing, and taking action on data that you collect for free.